Welcome to my blog segment, Interview an Author. 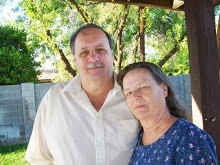 Today I have the pleasure of interviewing for the second time, authors, Don and Cathy Rush, better known as DC Rush. Thank you, Don and Cathy, for visiting with me and my readers. It is a pleasure to have you back. I have a few questions for you. 1. Please tell us about what has inspired you both to write? We began writing our first children’s book in 2010. Cathy and I would often sit outside watching and feeding the birds. Birds are beautiful and fun to watch, and they are very clever. The smaller birds would perch on the birdfeeder and kick seed down to the ground for the larger birds. It was very comical, however, very effective teamwork. We thought it would be interesting to write a book about a group of birds flying south for the winter. Publishing our first book was only a dream. The finished book sat on our computer hard drive for over a year before being convinced to self-publish. The birth of our grandson Rylie gave us some added incentive to get the book out there and we dedicated the first book to him. We also wanted to leave something behind for our children and their children. We never expected to write more than the one book, never mind four books. 2. What is new since you last visited my blog? We went back to each book and added several very colorful illustrations and new cover art. We found a very amazing artist living in London who has help bring life to our books. Also, we completed our fourth book, Robby’s Quest: Thrills and Chills. The book is currently being illustrated and we hope to publish later this year. Additionally, we released Robby’s Quest for Seed and Robby’s Quest: Ocean Bound on Audio. We found a very talented voice-over expert from Los Angeles, Tracy Elman, who does an incredible job narrating our books. Tracy is nearly finished with the third book, Robby’s Quest: Return of the Cat. The voices are very entertaining and fun to listen to. 3. Please tell us a little about your books and where to purchase them. 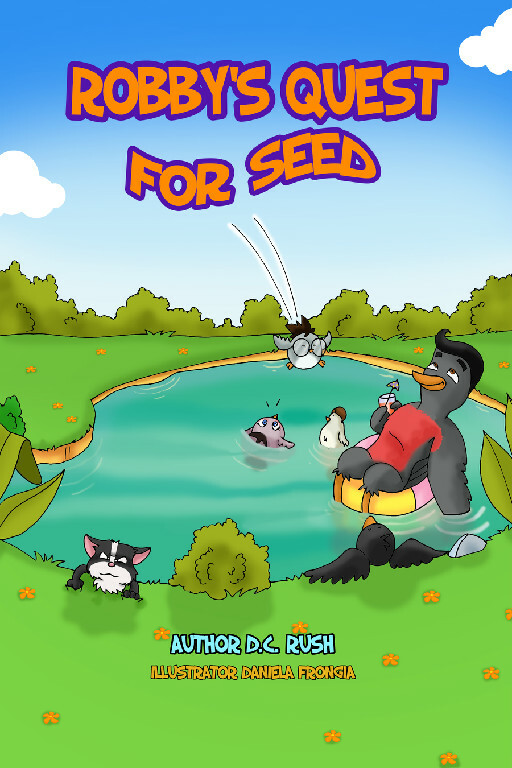 Robby’s Quest for Seed is our first book. Robby and his friends decide to migrate for the winter. The birds are doing very well until one of the little Sparrows decides to wander off and lands in the backyard of Hershey, a very mean-spirited cat. Hershey stalks the little bird but the rescue team foils his devious plans. The birds arrive in Florida only to discover a hurricane has destroyed the entire area, forcing the birds to change their travel plans. After speaking with Sammy, a friendly Dalmatian, the birds decide to fly west to Arizona. 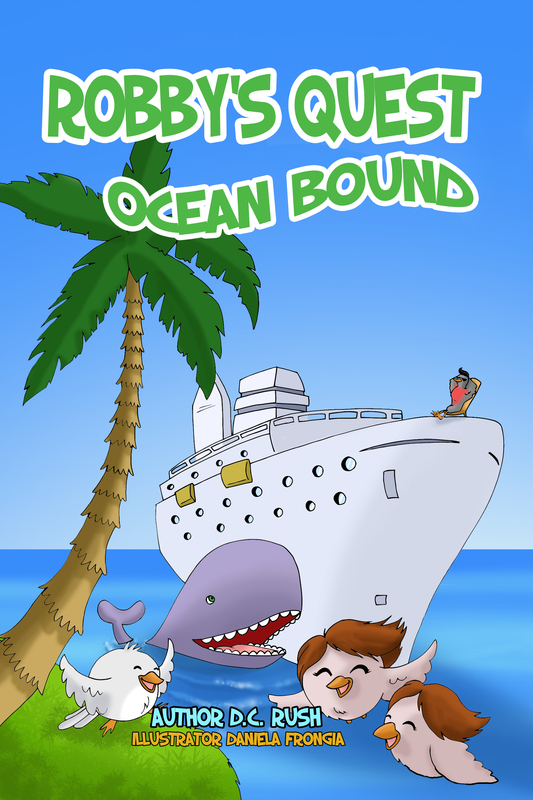 The second book is titled Robby’s Quest: Ocean Bound. In this story the group realizes that the Arizona summer may be too warm for them. They decide to fly west to San Diego for a cooler climate and scenic ocean view. As the birds are investigating their new city, two Sparrows, Joy and Josie, fly off to check out a cruise ship, fall asleep and wake to find themselves on a voyage they won’t soon forget. The lost pair of birds meets a friendly whale who offers assistance. As the ship ports in Mexico, the search team finally catches up with the ship and their lost friends. Our third book is Robby’s Quest: Return of the Cat. In this story the birds travel to Las Vegas where they can see the world, including the Egyptian Pyramids, skyline of New York and Eiffel Tower, all in the same city. As they arrive in Vegas, the birds meet Penny the Pink Flamingo and her many friends. Penny suggests the birds visit several sights including the Secret Gardens of The Mirage, Bellagio Fountains and Luxor light beam where Benny the Blackbird, to the delight of the little ones, attempts to make a Batman Silhouette. 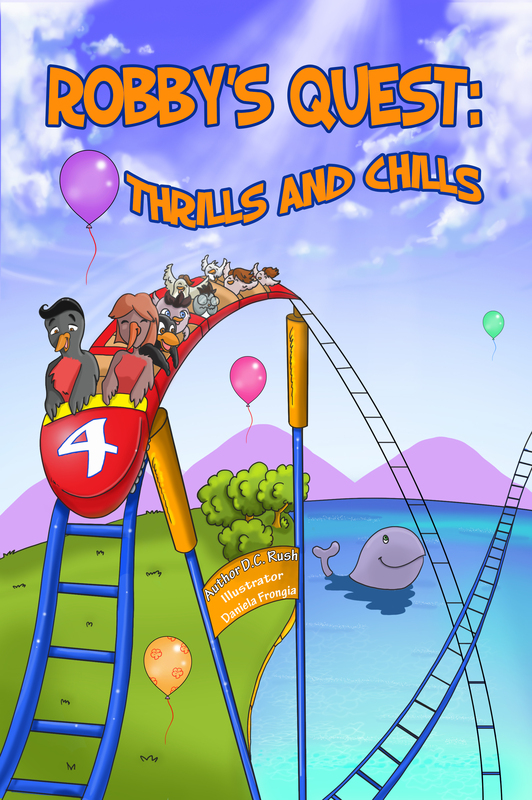 Our fourth book is titled Robby’s Quest Thrills and Chills. In this story, the birds decide to fly north, from San Diego to San Francisco, along the scenic California coastline. This is one of my favorite drives in the U.S. The birds find some amazing adventures along their journey. They discover Muscle Beach in Los Angeles where they ride a high-speed turbulent roller coaster. As the birds fly past Big Sur, a very large Hawk appears and snatches the two baby Robins. The birds turn to the animals in the forest for help including Ollie the Owl, Rhonda the Red Fox and Ellie the Eagle. As they arrive in San Francisco, Wanda and her new friend Wilma give the birds a scenic tour around Alcatraz Island and the Golden Gate Bridge. The Sparrow boys have a surprise waiting for their mom at the Bridge. The fourth book in the series is loaded with thrilling and chilling adventures. 4. You have a beautiful blog and website. Can you share the links with us and tell us what your new blog is about? Thank you very much. We wanted to create a colorful and informative website where people could read about our books and see the book covers and illustrations. Our website is the center of all our social networking. This is where we post the most current information with links to purchase any of our books, in every format. We also provide links to our other pages such as Facebook, Twitter, Goodreads, Pinterest and LinkedIn. We have spent a lot of time tweaking the website and we hope our visitors like the end results. 5. In what other venues can your books be found? Our exclusive with Amazon ends this August and we will be able to list our books elsewhere. We think it is important to provide customers with a choice. We will be selling at Amazon, Barnes & Noble and Smashwords. At Smashwords, customers can download an eBook in many different formats including Nook, Kindle, Apple, Sony, Kobo, PDF and others. We believe this will help increase exposure and hopefully reach more children. 6. Is there anything else you would like my readers to know about you? Writing and publishing our stories has been an adventure. We hope that many children will have the opportunity to read our books. Cathy and I have been donating books to the local hospitals for the kids. We would like to continue doing this as our finances permit. Also, we are working on a children’s book app, however, we have to go it alone and have a lot to learn. If anyone understands how to create a children’s book app, we’d love to hear from you. We are just not sure what children would like to see in a book app. The birds can’t just fly around from screen to screen. There needs to be additional animation to keep children entertained. Does anyone have any ideas about how to do this? It was such a pleasure to have you here, Don and Cathy. Thank you for stopping by again. Thanks Janice, we really appreciate the opportunity to update everyone about us and our books. I am sure everyone will love your books once they see how beautiful they are. Best wishes and success in all your writing and blogging. You asked about creating an app for your books, Don. I downloaded an excellent book by Karen Robertson, called, What is a Book App and Could YOU Create One? I have not read very much of it because I was not ready at the time to create an app. You may find it helpful. If you online and look up the title or the author I am sure you will find it. She did give step by step instructions. Thank you to all my readers and supporters I greatly appreciate your coming to visit with me and reading my blogs. I hope you stop by again and again. Thought of the Day: If you read a book please put your review on Amazon.com, BN.com and Goodreads. We authors appreciate your support and love to hear feedback. Please remember to be kind at all times. This entry was posted in Writing, book reviews and publishing, poetry, children's books, YA and novels and tagged Action, Adventure, Author, Blog, blogging, Book review, books, children's book, Children's stories, colorful illustrations, entertaining, illustration, nature, positive attitude, summer reading for kids, Writer, Writing. Bookmark the permalink. Another great interview, Janice! I always love reading them. Hope you’re having a fun weekend. Thanks Deanie. Hope you are too! What a wonderful interview from a most interesting author. Thank you.